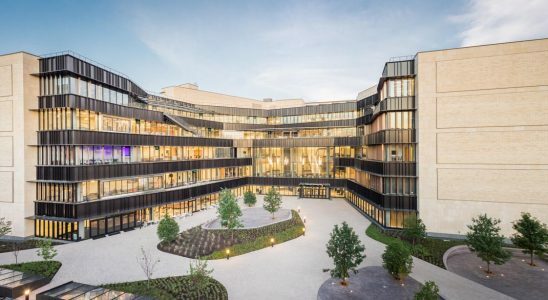 The Coding Boot Camp, The Data Analysis & Visualization Boot Camp, and The Cybersecurity Boot Camp at UT Austin are all offered on the main UT Austin campus, in the Thompson Conference Center, where you’ll benefit from an in-class experience collaborating with your peers. 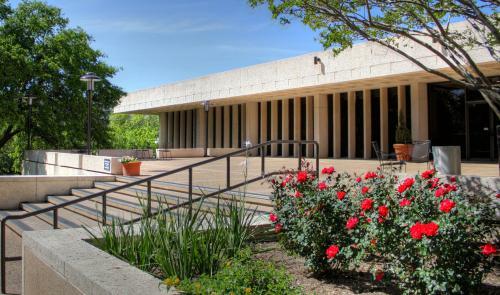 The Joe C. Thompson Conference Center (TCC) is conveniently located on the northeast corner of campus, in central Austin, providing easy access via bus, shuttle, taxi, automobile and bicycle. Complimentary parking is available on-site at TCC on a first-come, first-served basis in Lot 40, which is located at the intersection of Red River at Dean Keeton streets. Additional paid parking is available nearby in Manor Garage (MAG) on Clyde Littlefield Drive. Attendees at classes in TCC can have their Manor Garage parking tickets validated at the TCC reception office to receive a discount. The Robert B. Rowling Hall (RRH) is conveniently located on the southwest corner of campus, at the corner of MLK Blvd. and Guadalupe St. in central Austin, providing easy access via bus, shuttle, taxi, automobile, and bicycle. Paid garage parking is available nearby in the Guadalupe Garage (GUG), which is located at the corner of 17th St. and San Antonio St., or Brazos Garage (BRG), which is located at the corner of MLK Blvd. and Brazos St. More information on purchasing term-long parking passes can be obtained by speaking with an admissions advisor or your Student Success Manager. Additional paid parking may be available as street metered parking nearby. 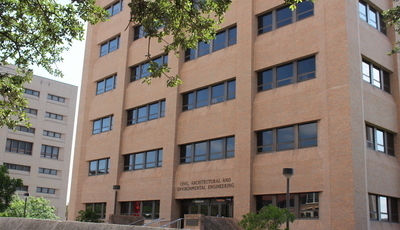 The Ernest Cockrell Jr. Hall (ECJ) is conveniently located on the UT Austin campus. Mondays and Wednesdays | 6:30 p.m.-9:30 p.m.
Saturdays | 10 a.m.-2 p.m.
Tuesdays and Thursdays | 6:30 p.m.-9:30 p.m.